The explosive collision of two stars locked in a mutually-destructive spiral over a thousand years ago will only become visible to humans five years from now, according to US astronomers. A group of scientists based at Calvin College, Michigan have made the bold 1-in-a-million prediction for 2022 which, if correct, would be the first time in history that humans have predicted the birth of a new star. “If we see the star blow, we’re gonna see what happened a thousand years ago,” says Calvin College physics and astronomy professor Larry Molnar. 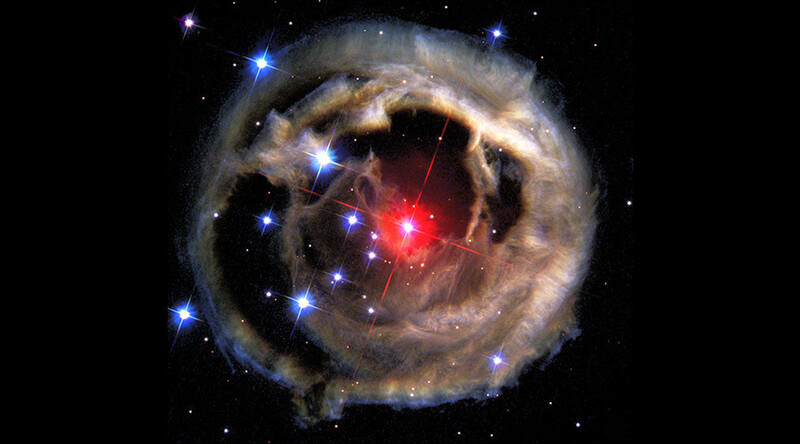 Molnar and his research team believe that we will be able to witness the birth of a new Red Nova or ‘Boom’ star sometime in 2022 following the collision of the binary star KIC9832227. The two suns orbit each other every 11 hours or so. However, their orbit has been observed speeding up in a predictable way - leading to a dance of death with a predictable and explosive conclusion. The new star would be the brightest in the night sky for a period of about six months before slowly dimming over the next two to three years. Amateur astronomers will be able to pick out the new star along the left wing of the Cygnus constellation. As recently as 2008, scientists documented the birth of a new star, V1309 Scorpii, when two stars merged unexpectedly and exploded. “If Larry’s prediction [about the new star] is correct, his project will demonstrate for the first time that astronomers can catch certain binary stars in the act of dying, and that they can track the last few years of a stellar death spiral up to the point of final, dramatic explosion,” added Dr Walhout, dean for research and scholarship at Calvin College.